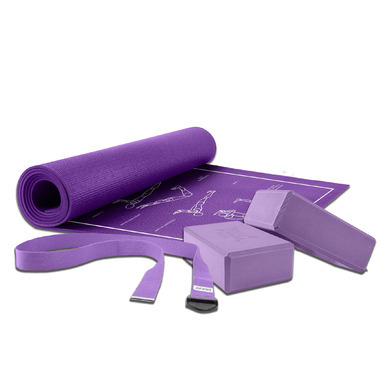 The Everlast Yoga Kit includes everything needed to start and maintain your yoga routine. This is great if you are just starting out in Yoga! Especially if you have limited flexibility. The strap and the blocks are great to help you work through this. I am not a big fan of the yoga mat. I find it a bit narrow, but the yoga poses on it are a nice touch. A good starter kit.